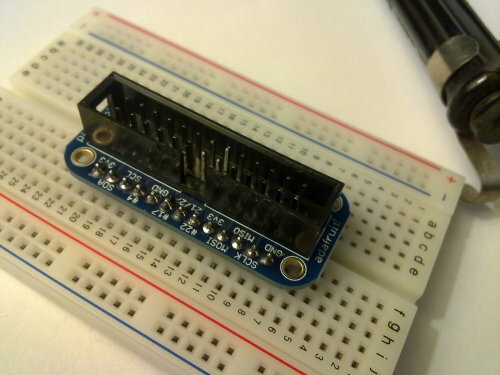 A breadboard is a great way of building simple prototype ciruits. They have a grid of holes that wires can be inserted into. 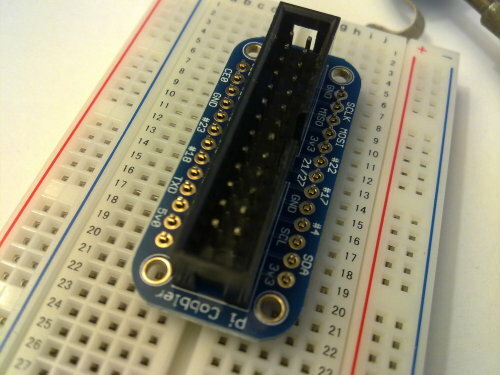 The holes are connected to each other in numbered rows in rows across the breadboard. 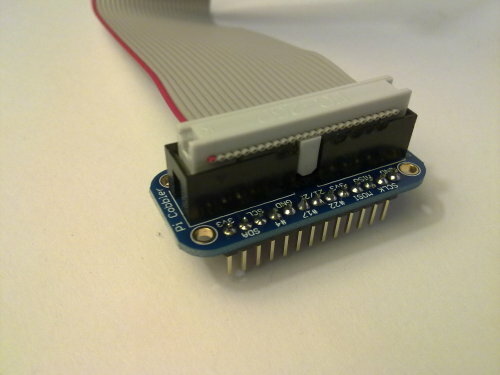 I used the Ada Fruit Pi Cobbler cable kit to connect my Pi to a breadboard. 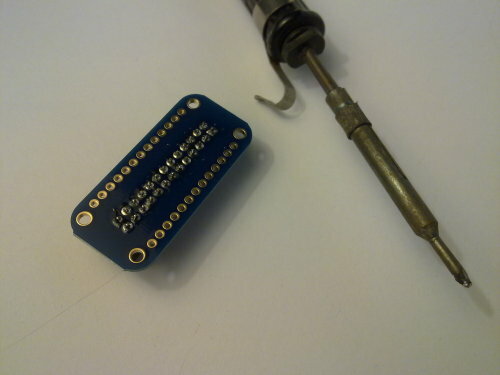 This kit comes in parts, so you need to solder it together as shown in the images. First solder the rectangular black socket on to the printed circuit board. Make sure to attach the socket the right way round. The notch in the side of the socket should be above the notch in the white outline on the circuit board. 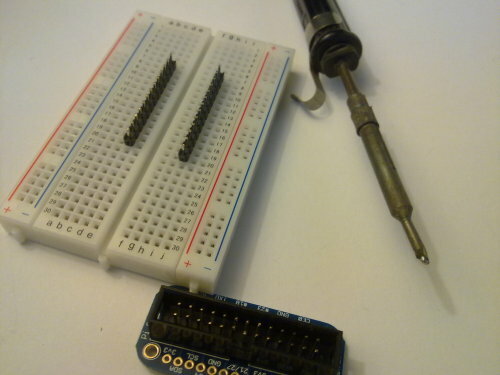 Next, break off two rows of 13 pins from the strip of pins provided, and put them in a breadboard. Put the circuit board on top, and solder the pins in place. 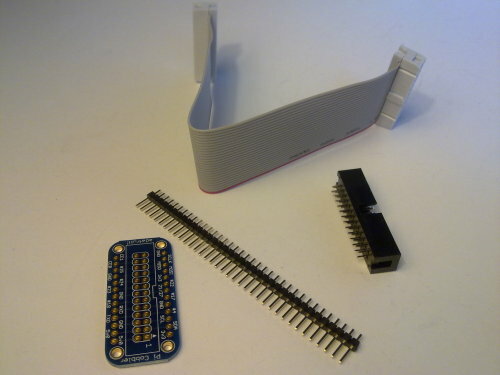 Attach one end of the ribbon cable to the GPIO header on your Pi, and connect the other end to the socket on the newly assembled connector, and you're done.